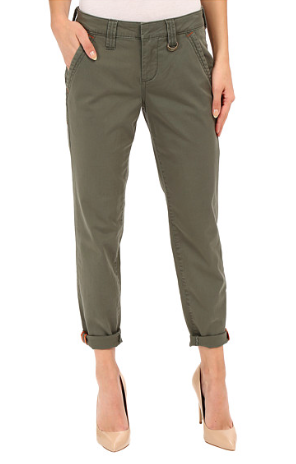 For casual Fridays or if your office is more relaxed, any day, I love a comfortable chino. 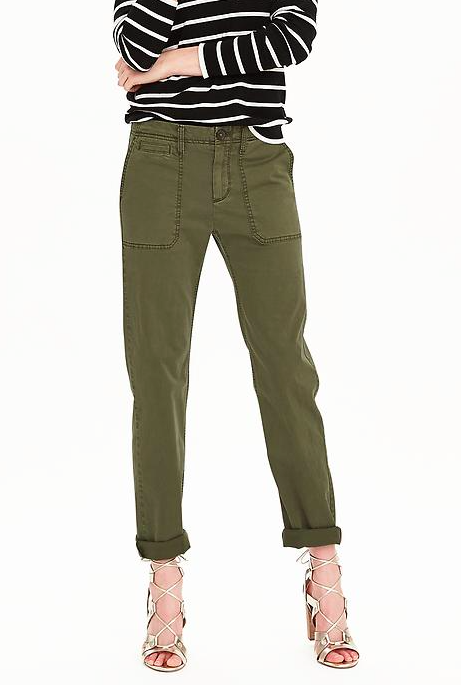 It's versatile and put together and most importantly, its machine washable. 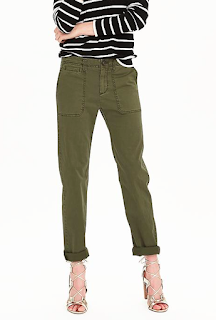 Much like the bf jean fit, I am really loving the bf chino. Relaxed yet polished. Simple and a great neutral with a tank top or blazer. I love this look. A pointy toe stiletto really balances the army green relaxed fit pant. A punchy merlot color will mix beautifully with other jewel tones. 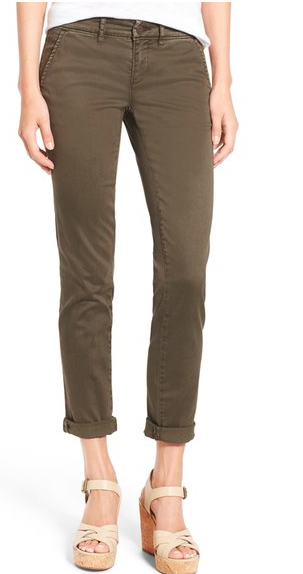 Great cargo pocket front. Keeps things casual but have some fun with your shoes, like this model. 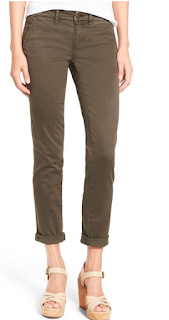 A great chino is a utility piece in your closet, try the bf fit to transition from summer to fall.